Cham Islands is a charm of Hoi An Complex that adds much more value for the tour to Hoi An. Cù Lao Chàm (Vietnamese) is known as a pearl on sea of Quang Nam province. In 2009, Cham Islands was recognized as the Biosphere Reserve of the World by UNESCO, thank to its diversified floral and fauna. From then, Cham Islands is heard as an attraction of Quang Nam province together with Hoi An town. Cham Islands has a nicest weather that welcomes tourists to visit from March to August. 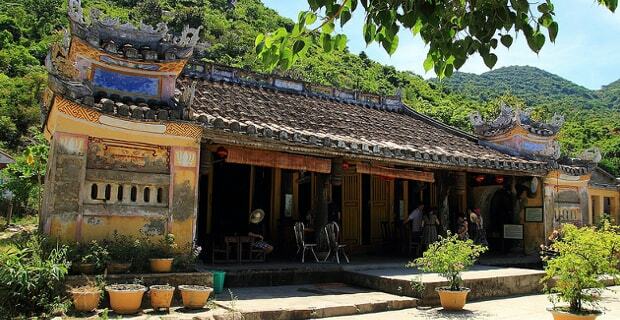 Luckily, it is likely to parallel to the best time for visiting Hoi An from February to April. From March to August, the weather is so friendly with warm sunshine and peaceful ocean. From August, there are probably storms from East Sea like annual. Rough sea and strong wind make boats impossible to get the island, therefore the island is isolated and the tourists can be stuck on the island. Thus, in order to have a perfect holiday, tourists should have some understandings about the weather of target place. 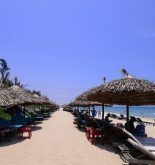 Regarding to Cham Islands, don’t forget that you can go there when you get to Hoi An for the best season. 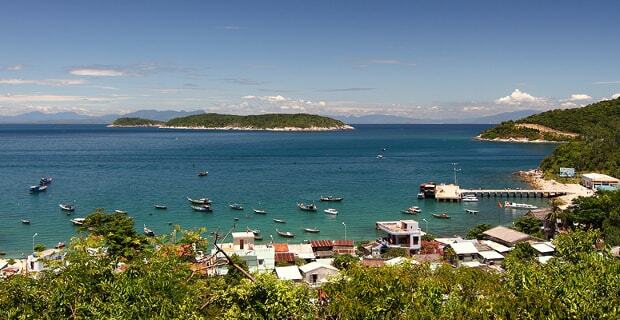 Cham Islands is located approximately 15km to the East from Cua Dai Beach, Hoi An, Quang Nam. The visitors can get to that marine paradise in two ways. The first and the fastest way is booking a canoe. It takes you only 20 minutes to get there, however, it is costly with over $8 for each. Canoe will be suitable for those who love adventures by surfing on waves at high speed. The other option is wooden boat from An Bang beach or Cua Dai beach. Boat is cheaper but slower. For many people, the feeling of sailing and move along the waves are peaceful and romantic. However, you should not choose this transportation if you are wave sick. 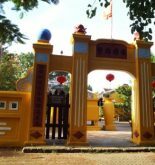 In Cham Islands, the tourists should make themselves at home since they will stay at house of the local people on the island. There are no hotels, hostels or resorts but homestay house. It is very interesting for people to experience in direct the life of local people. In addition, homestay service will save you a lot of accommodation fee in comparison with a hotel room. The host also offers visitors supplemental services like food, laundry, motorbike renting, tour guide and diving. Those who love freedom can choose camping outside on the beach. The tourists can sleep under the sky and eat seafood in an outdoor party in the melody of sea. Coming to Cham Islands, tourists had better make use of every minute to visit landmarks on the land. Marine Museum is the first place you will see at the first step landing on the island, where you can get information about people, history, traditional festivals. 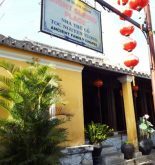 Hai Tuong pagoda might be the next place. The pagoda is a religious structure for Buddha and divine worship of fisherman and merchants who practice the ritual worship with strong wishes bless on the business trade. Tan Hiep market is a remarkable place for visitors. The market has a plenty of specialties of sea and forest, which might be ideal gifts for family and friends. One day might be not enough for tourists to have all experiences on the island. Cham Island is well known for diving and snorkeling to admire colorful corals. Tourists can have the homestay buy a ticket with enough equipment and boat taking to diving area and guidance. A note to remember is never break coral to take home. After enjoy the sea, you can rent a boat to visit the other small islands surrounding the main island. Particularly, you can be taken to see Yen island where the Yen cave is home of swiftlet bird. The birds will dwell on the cliff by their saliva. The nest made of saliva is then dried and hardened and become an precious ingredient for special soup. 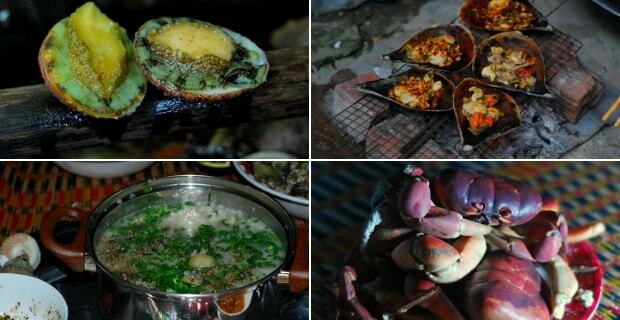 Regarding to food, tourists can ignore of some specialties in Cham Islands. The first one is one-sun squid. The fresh squid is exposed under strong sun one time. It is a popular gift when visitors come back. You can have the fresh squid for the outdoor party at night from Tan Hiep market or order at your homestay without any worries about prices because the seafood is quite cheap on island. Rock crab is the next food tourists may be interested in trying. The crab is called vegetarian because its food is vegetables on mountain. The crab meat is more delicate than the normal crab so the rock crab is ranked as a star of Cham Island’s food. Abalone is a scarce snail that is very famous for one of the delicious cuisine for King and Queen. Cham Islands also has a popular cake that is different from the same name cake in other place. Cham Islands is Biosphere Reverse of the world, therefore the local take a serious concern on environment protection. Tourists coming to the island should respect and obey the regulations on the island such as not using nilon bag, throwing garbage and breaking corals. The island still lacks facilities so the visitors should gain initiative in the tour so that a fantastic tour can happen.